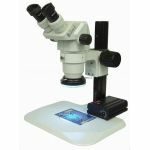 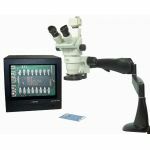 HEIScope SZ Series Stereo Zoom Microscope Packages includes a HEI-SZ-B2 (SZ301101) Stereo Zoom Binocular Body with .67-4.5x magnification range using HEI-EP-W10 10x Eyepieces, HEI-EP-EG Eye Guard Cups, and a 1.0x and 0.5x Auxiliary Lens. 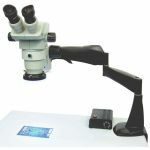 The HEI-SZ-T2 (SZ301201) Stereo Zoom Trinocular Bodies come with UC3010 3.1 Megapixel CMOS Camera (2048 x 1536) with Vis Plus Imaging Software. 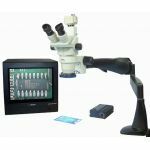 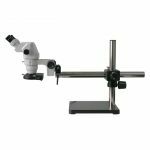 HEIScope SZ Series Stereo Zoom Microscope Packages allows you a choice of a Standard Boom Stand, Dual Arm Boom Stand, Track or Post Stand, or Pneumatic Arm Stand. 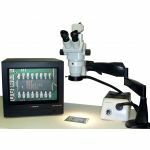 HEIScope SZ Series Stereo Zoom Microscope Packages allows you the choice the light source. 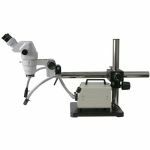 You can choose No Light Source, Fiber Optic Illuminator with Annular Ring Light Guide, Fluorescent Ring Light, and LED Ring Light. 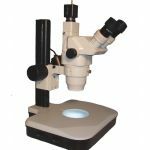 CCD and USB Cameras are also available with a HEIScope SZ Series Stereo Zoom Microscope Packages. 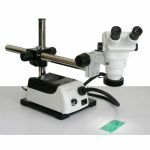 All HEIScope SZ Series Stereo Zoom Microscope Packages comes with a HEI-MS-CV ESD Safe Microscope Cover. 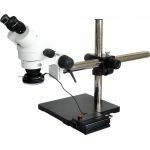 Each Series has more than one Microscope to choose from. 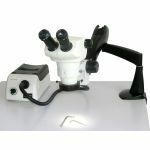 Select your Type of Microscope Stand Below and then Light Source. 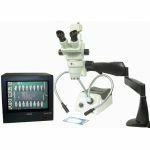 Purchase a SZ Series Stereo Zoom Microscope Package sold by Howard Electronics Today!